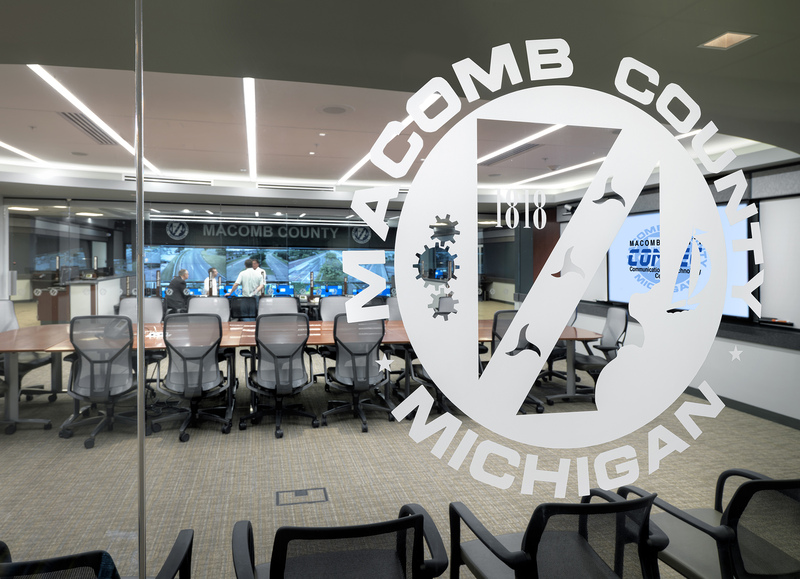 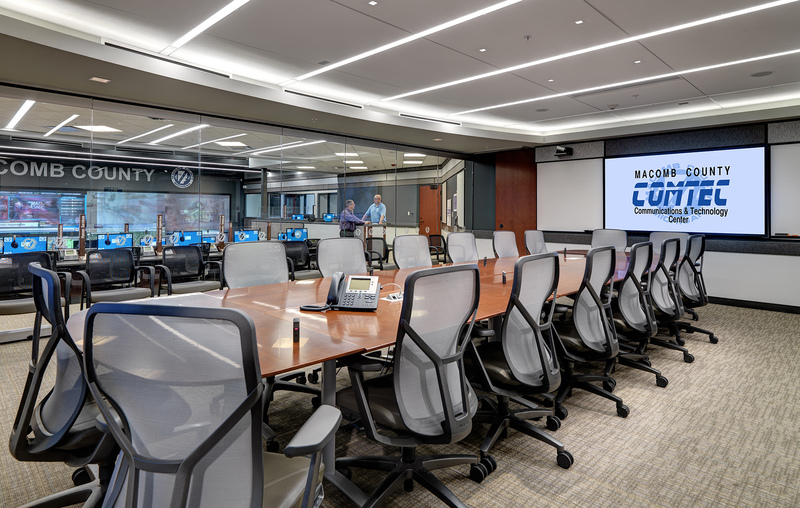 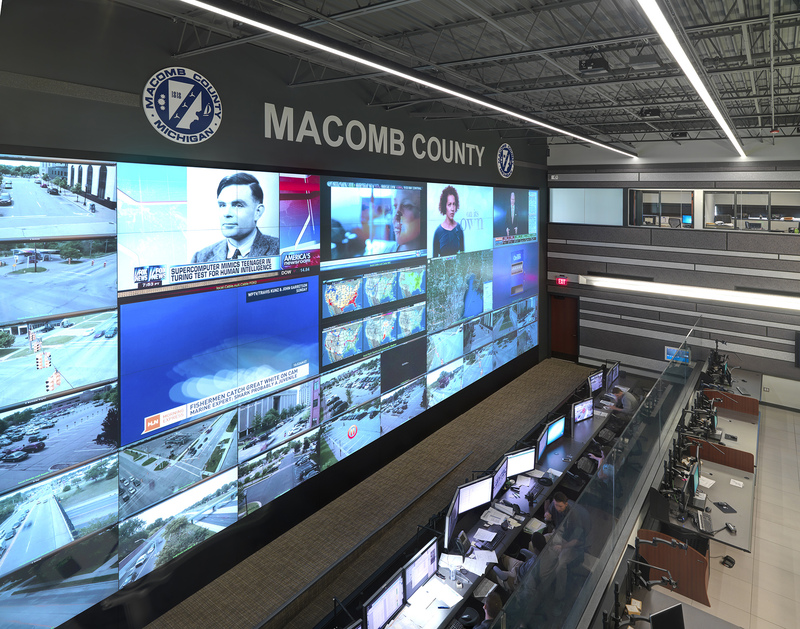 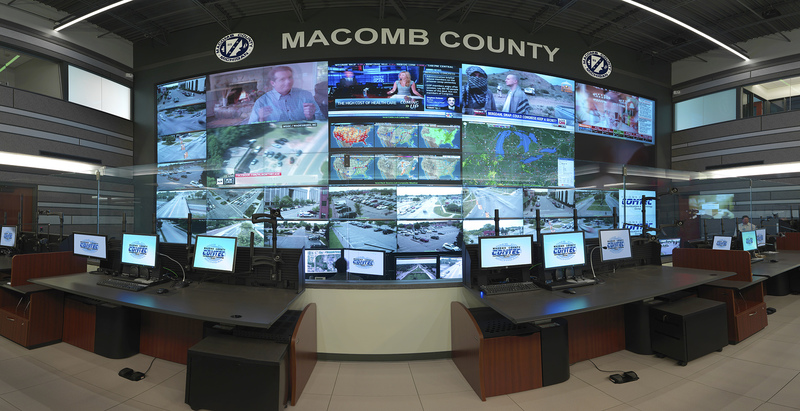 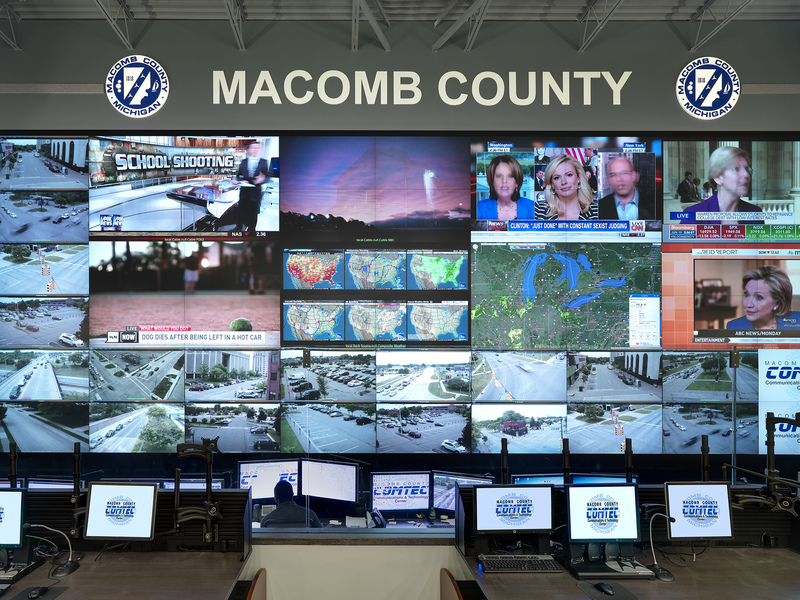 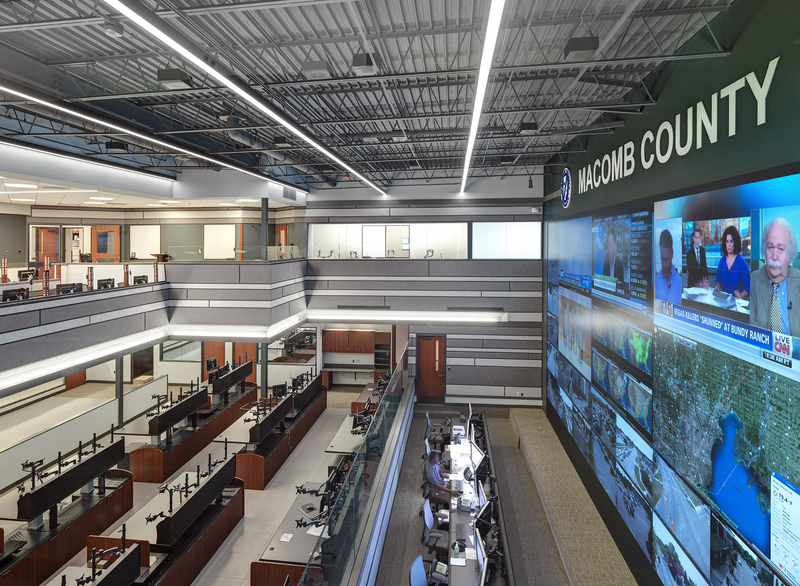 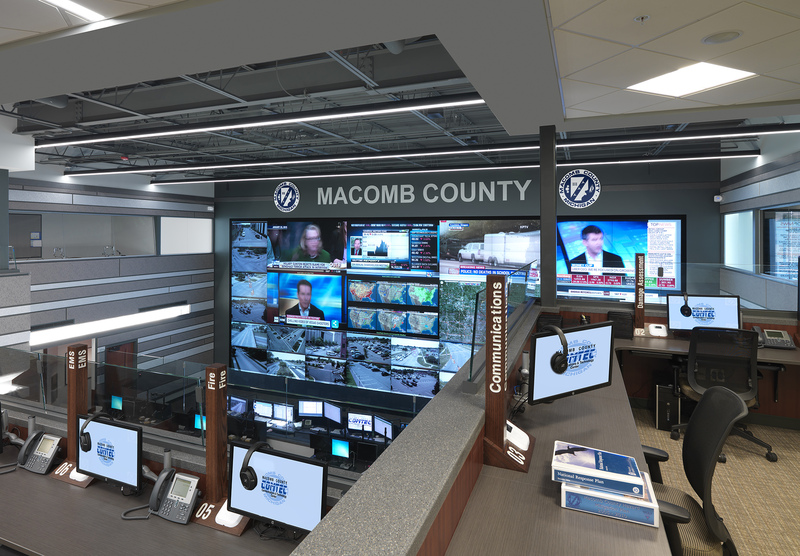 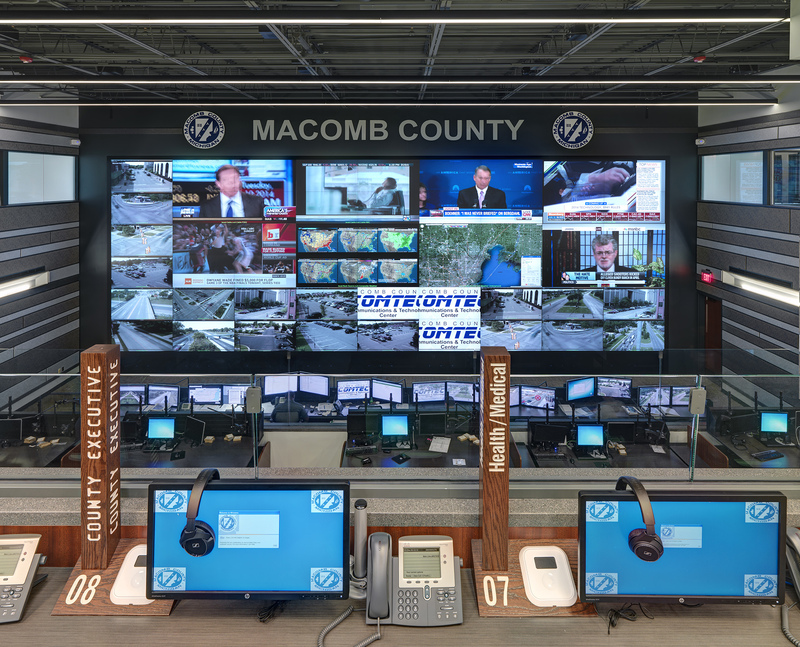 The project objective for the Macomb County Emergency Operations Center project was to provide a facility to house and consolidate county functions which include the incorporation of the Sheriff’s Central 911 Dispatch Center, Emergency Management and Communications Center, the Information Technology Department and the Department of Roads Traffic Operations into a single building to encourage face-to-face interactions and shared resources to better serve the community. 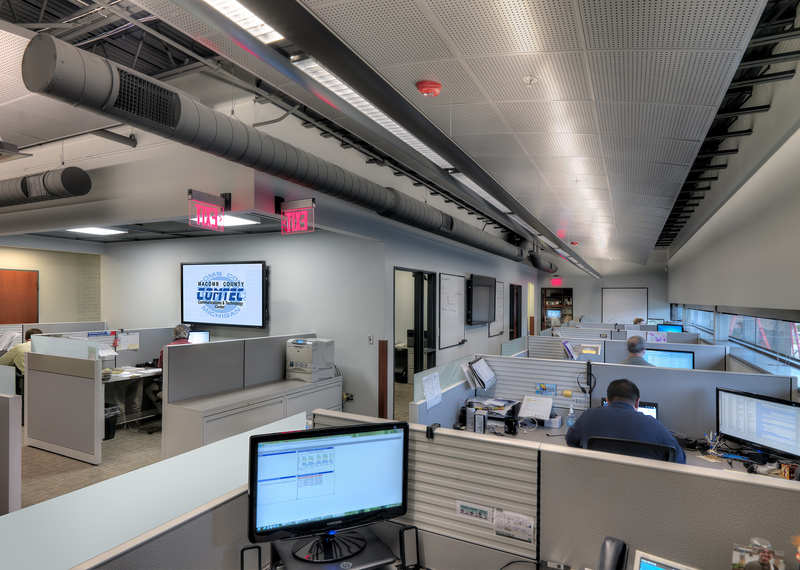 The project began with a study of three existing buildings and the option to construct a new building. 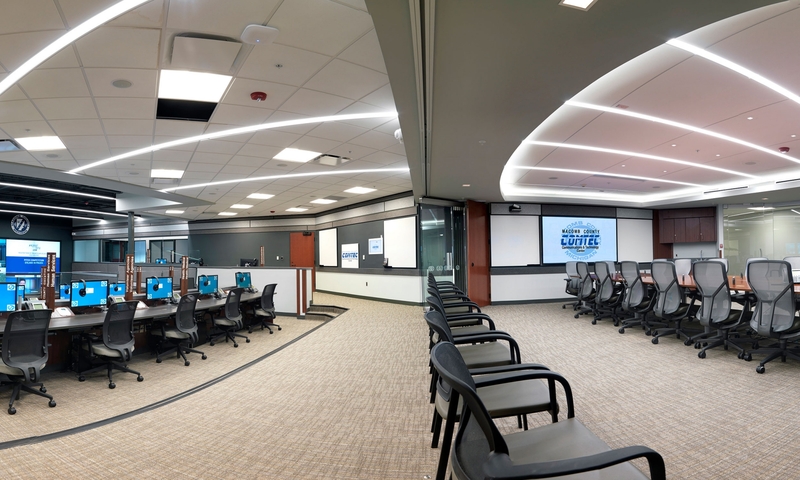 PARTNERS analyzed each of the options and developed multiple solutions for each of the four possibilities. 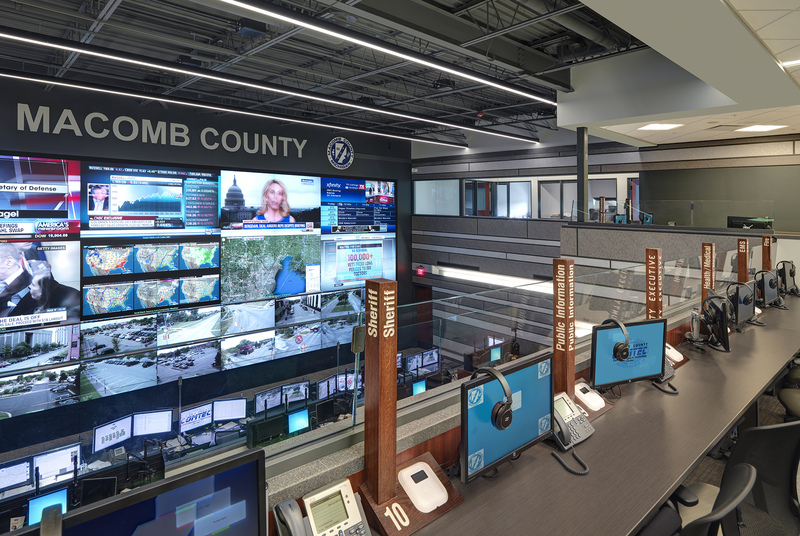 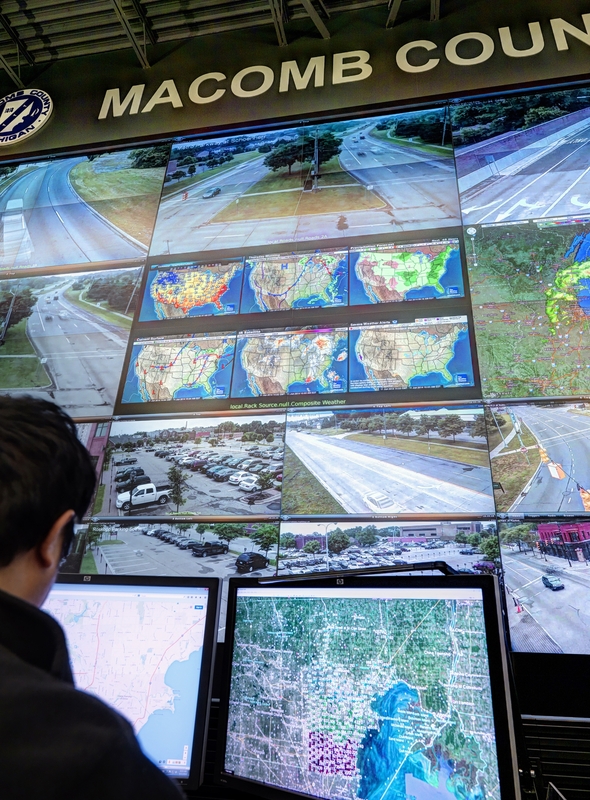 The research and analysis provided a detailed comparison in terms of site security and circulation, building functionality and efficiency, physical limiting factors, building hardening challenges, county infrastructure connectivity, utilities and a detailed budget analysis. 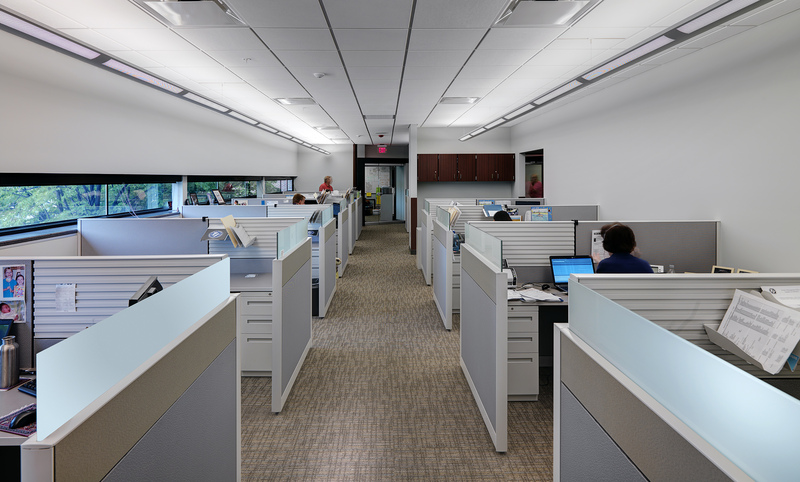 The results of these studies led to the selection of renovating an existing under-utilized building. 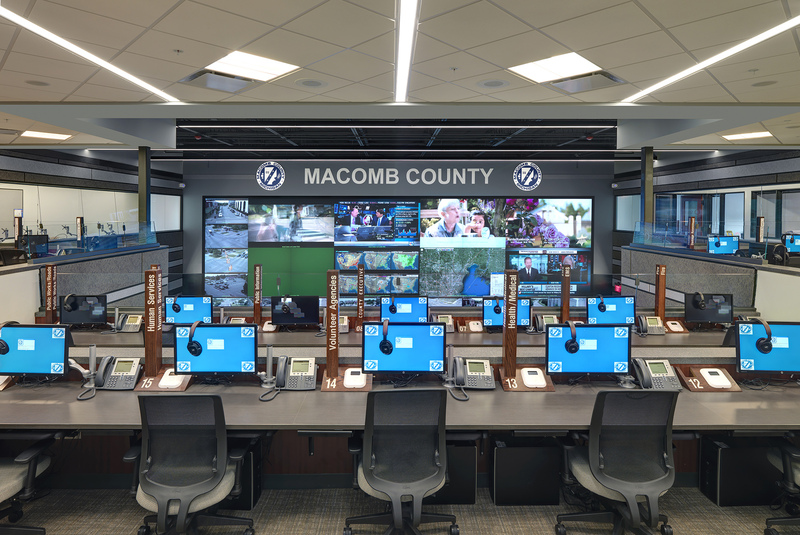 The county was able to secure funding for this project through multiple sources of which PARTNERS helped to facilitate the allocations of these funds with the overall budget. 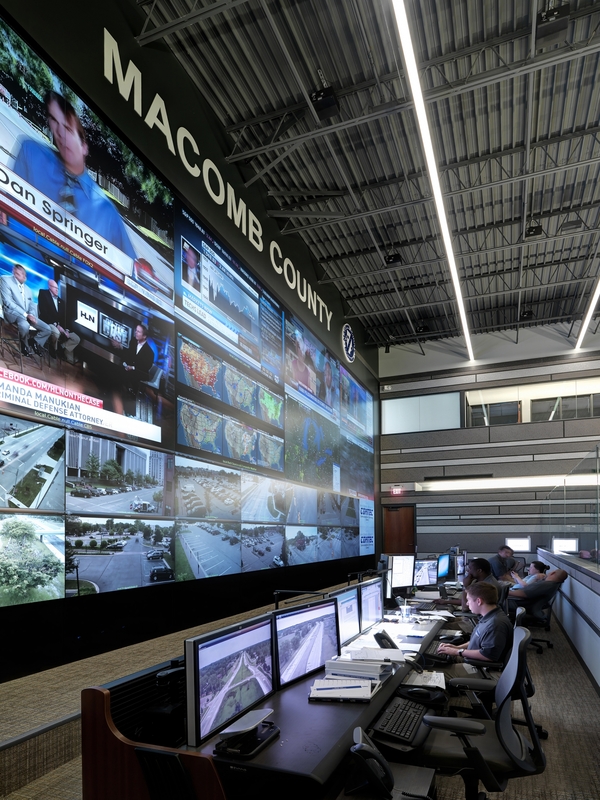 Funding was provided through a Congestion Mitigation and Air Quality Improvement (CMAQ) grant program, Emergency Operation Center grants, Community Oriented Policing Service (COPS) grants, Urban Area Security Initiative (UASI) Homeland Security Grants, Sheriff’s Drug Forfeiture and through the County’s Capital Improvement budget and individual department funding.